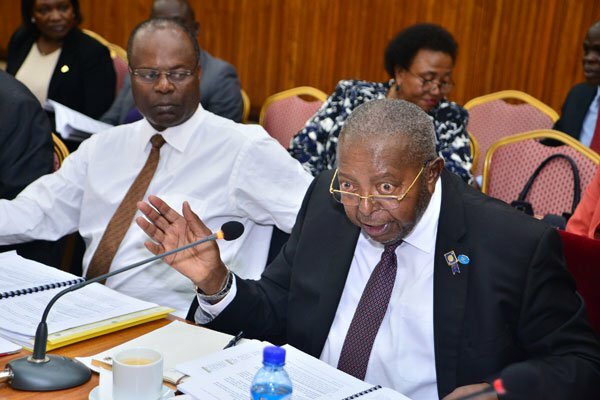 PARLIAMENT – The Governor Bank of Uganda (BOU), Emmanuel Tumusiime Mutebile has apologised for the uncontrollable leakages of crucial documents from the Central Bank, that has painted doubts about the confidentiality of Uganda’s Banking sector, after a number of confidential documents leaked to public. Mutebile made the apology following concerns raised by MPs on the Committee of Commissions, Statutory Authorities and State Enterprises (COSASE) who wondered why the Central Bank had abused the confidentiality agreed upon by the two parties to have no documents leaked during the probe into the closure of the seven defunct Banks. Mutebile told the Committee that he is not in the know how a letter addressed to COSASE detailing the confidential documents made its way to the public and that an investigation was being conducted to have the matter dealt with. He also expressed his apologies saying the matter was brought to his attention only about 30 minutes before he left his office to go to Parliament for the probe hearing. Katuntu wondered how his Committee would be reduced to a social media Committee to the level that the Legislators have to rely on the internet to received documents released from the Central Bank. The COSASE Chief told the Committee that he was shocked to read on social media of a written letter by the Governor and forwarded in confidentiality yet the said documents having been signed by the Governor.